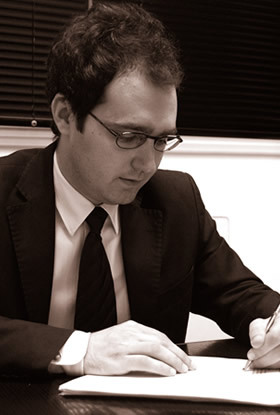 Wadih Haddad passed his Beirut Bar entry exams in 2008 and joined the firm in 2009. Wadih mostly practices corporate, commercial and banking & finance law. He is also involved in litigation matters. Wadih also works on various matters in several areas of Law such as capital markets and financial instruments, intellectual property and other relevant legal topics. Wadih graduated from La Sagesse University with a bachelor of Lebanese Law, and obtained a D.E.S.S. in Banking and Finance law. Prior to joining the firm, Wadih worked in another Lebanese Law firm. Wadih is fluent in Arabic, French and English.